Book Update: The “new books” section of the library is right by checkout. Since I have had the kids nonstop for… 3 months now… I’m not able to really preview anything there. I grab my books at the library and hope for the best! Like clothes at Old Navy or bras at Victoria Secret. because the cover looked funny, and I thought it would be a light fiction novel. Oh, no! 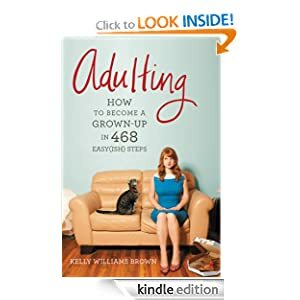 Apparently, this book really is 468 steps to becoming an adult. The target audience is 18-25 year olds who like to laugh and don’t know how to do much on their own. The psychology behind it is short, sweet and to the point in the very beginning – I did like that. I guess since I have been doing things on my own since I moved away at 17 years old, I didn’t find much use in the book. But anyone who is 18-25 years old should read it and save themselves so much grief. This is the list of things I wish I could tell myself in the past if I had a time machine. 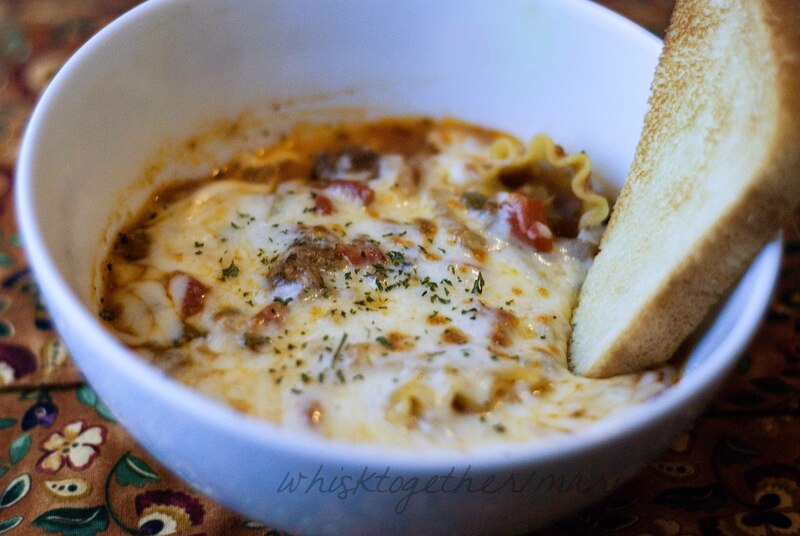 Recipe Update: This soup is the bomb! Of course, Paula Deen does it again. Just awesome awesome awesome. Make it. Today. You won’t regret it. 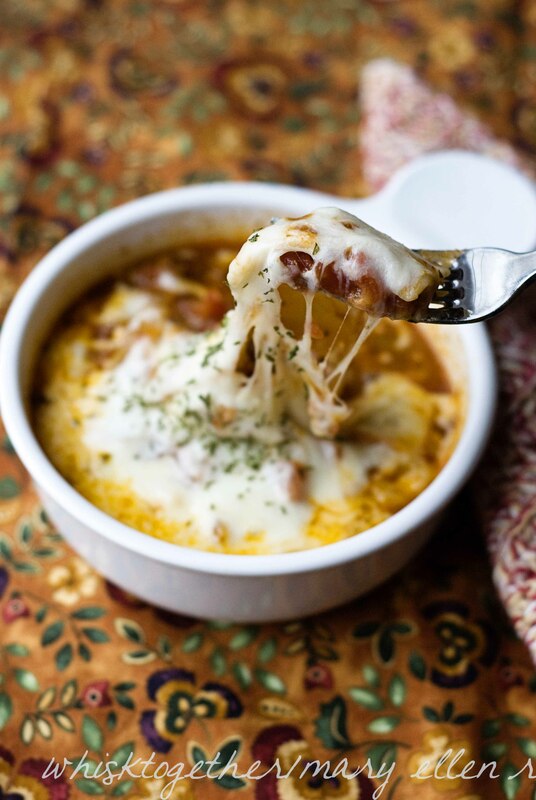 I think this may work as a pot luck meal if you sprinkle mozzarella cheese on top of the individual bowls of hot soup. This would freeze well in a freezer bag or hard container. 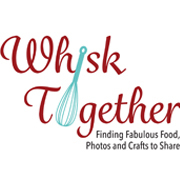 Tip: A little tip I learned while selling Pampered Chef. Put a lasagna noodle into a clean dish towel and wrap. Break the noodle in the dish towel. The breaks will be easy, clean and no pasta flies everywhere. 1. In a great big pot, or Dutch oven: cook the ground beef, onion and bell pepper until cooked through over medium heat. Drain on paper towels if needed and throw it back into the pot. 2. Add the garlic and cook 30 seconds. 3. Add: thyme, brown sugar, chicken broth, tomatoes, tomato sauce, Italian seasoning and salt. Bring to a boil. Simmer 20 minutes. 4. Add the lasagna noodles. Boil and then simmer those until the noodles are cooked through. About 10-15 minutes depending on how big the pieces are. 5. Add Parmesan cheese. Stir and heat through. 6. 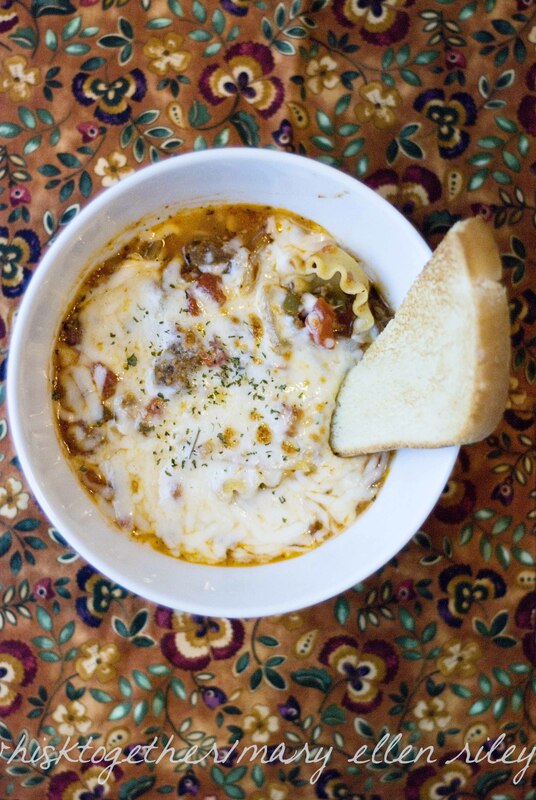 Pour the soup into ovensafe bowls. Sprinkle mozzarella on top. Throw them under the broiler in the oven to get nice and golden bubbly on top. Remember to keep the door slightly ajar on the oven and don’t look away! As soon as you look away… it knows. Somehow it knows and burns on you. Made this tonight and it was fantastic! The only thing I added was crushed red peppers because we like our food a bit on the spicy side. Will be making this again for sure but I do think I will use fettuccine noodles next time instead of lasagna noodles.